Years ago, when the publisher of my first book — a YA mystery — asked me what name I wanted to write under, I immediately thought that my nickname — Libby — would be the best way to communicate the fun spirit of the book, and, since most folks knew me as Libby Sternberg…it was a natural pick. But the name I’d always really wanted to write under was Elizabeth Malin, not the nickname Libby. You see, I started in the artistic world as a classical singer. Trained at Peabody Conservatory, I sang under the name Elizabeth Malin, and I have a box full of old programs and mementos of my singing days with that name printed on them. Elizabeth Malin has always felt like my artistic persona. So, here I am, some ten or so books later, and I’ve decided to start afresh as the author Elizabeth Malin, at least for my more serious adult fiction. To that end, I’m releasing a collection of three short stories, to be followed by a full-length novel. The short story collection is appropriately titled From Here –– also the name of the first story in the group — to indicate the theme of the stories. They each deal with characters deciding what to do “from here.” Where do they go? How do they deal with large and small challenges? How do they start over — if they do? And then, when they’re still clapping, when they’re wanting it so bad they’ll do anything to hear it, he marches on stage and thanks everybody and tells them to get out their wallets and write checks. And he waited! He waited until they started doing it. And then when they’re as still as school kids waiting for the teacher, he sings it, Nessun Dorma, his voice oozing out into that hall like honey, coating everybody’s heart and making you warm and peaceful, like you’ve just gotten a toe in heaven and if you’re real quiet, they’ll let you stay. I was moved, standing in the wings. Couldn’t stop the tears even though I’d heard it a thousand times, sung by the best, too. Frank’s singing had something that ripped you open. Debbi had told them of a nearby walking path, and she’d availed herself of it each morning, cheered almost to the point of weeping by the site of shy dogwoods bursting into bloom under the canopy of lime-green leaves, trees about to burst into full leafy bud, now sheer lace above her head letting in the unyielding sunshine that pinked her face…. There’d been only a couple months of classes left, and that had been an easy year for him…He’d felt…redeemed, and he remembered thinking all these Great Thoughts about what he was going to do, how he’d be a better person after this, how lucky he was, how life was good. The honeysuckle moments of life, his mother had called them. Holy Saturday, the good kind of waiting. So, where do I go …from here? I hope I find new readers who will embrace Elizabeth Malin. I hope my old readers follow me to this new place. I hope, like all the characters in these stories to one degree or another, I find tenderness, acceptance and understanding. Come like me on Facebook. And you can still visit my website at www.LibbyMalin.com to see what I’m up to! And, of course, you can buy From Here for your Kindle at Amazon! The remaining designers went around NYC in Lexus vehicles for some odd reason (couldn’t be the Lexus sponsorship, could it? Naw.). They were then told to choose from among losing designs to create another look, making the losing look into a winner. What they did not know: Choosing a losing look meant choosing the loser, too. The loser designers would end up as their assistants. And, yes, Char chose Korina’s look because it had so much fabric to work with. Korina and the other losers come into the workroom. One by one, they are matched with their designers. Until Korina must go to Char, the designer whom Korina believes is not Worthy to Breathe the Same Air as the Awesomeness that is Korina. Korina drank a gallon of lemon juice before appearing. Or so saith her facial expressions. She is still “hurting,” you see, from her elimination in last week’s episode for designing an outfit made of All the Fabric in the Universe…plus scraps and miscellaneous notions she found. Long story short: Char, despite her usual bumbling tailoring skills and a so-so outfit, is going to Fashion Week. Or at least the episode they do before Fashion Week where they will possibly eliminate one more. Indigo-haired lady was eliminated because she just never caught lightning in a bottle, you know? Kini did wondrous things, but the judges didn’t like one of them that Tim had obliquely suggested in his make-it-work moments in the workroom. Nonetheless, our sweet, cheerful, charming Hawaiian is headed to Fashion Week, clapping merrily. My theory of this episode: although Char’s outfit was so-so, everyone was aware of The Krazy that was Korina, and they decided to reward Char(m) and, by doing so, thus punish The Krazy through the implementation of a sort of Kosmic Karma for Korina. Or, sweets for the sweet-natured = niener niener niener for the nasty-tempered. Most novelists are not best sellers. Most labor for years selling some books to publishers but not all, making modest advances and little or no royalties. And when they see not-so-good books becoming popular, the authors of which making tons of money and acting as if sheer talent and not a bit of good fortune got them to the pinnacle, well, it’s hard not to take up residence in the Bitter and Envious Bed-and-Breakfast. It’s awfully hard not to snark at those success stories, wondering why on earth someone who could barely string sentences together or structure a compelling story made it so big when your own works are just as good, if not better. But this past week, if you’re a Project Runway fan, you had a look at how unattractive bitterness can be. 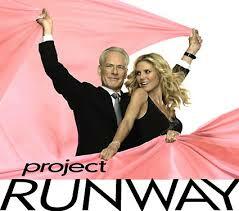 For those who don’t know, Project Runway is a show airing on Lifetime where amateur and semi-professional fashion designers compete for a chance to show a line of clothing at New York’s fashion week (along with some other prizes). This is its 13th season, and we’re down to just six designers. One of the designers, Korina, has done some good work. She’s even won a challenge. This week, when she designed an outfit using every fabric and notion known to mankind from ancient times to the present, she ended up in the bottom with Char, a charming woman from Detroit, whose body of work so far has been inconsistent, good one week, appalling the next. In fact, Char was eliminated one week, but “saved” and returned to the show through a special dispensation gimmick the show started using a year ago. Korina clearly didn’t think she should have to be considered even in the same league with Char. She snarked on the runway during the final judging, and she continued to snark while working on a new dress, an assignment given to Char and Korina so they could try to redeem themselves after their awful runway showings. Char won–she deserved it–with a sleek, floating blue dress. Korina lost–with a poorly constructed Mondrian-design sheath. Here’s a good write-up of the Korina Krack-Up. But the sad truth of this episode is: Korina was right…to a degree. As mentioned, Char has been an inconsistent designer, with some really bad pieces coming down the runway at various times–bad in design and bad in construction. I remember one monstrosity in particular that appeared as if it had been sewn in fifteen minutes using fabric scraps…while she was blindfolded. Nonetheless, Korina herself wasn’t brilliant. She, too, sent some real dogs down the runway — she designed a green evening dress that looked as if a beginning teen sewer had chosen the wrong fabric, the wrong color and the wrong Simplicity pattern for her first garment. Korina was lucky, though, not to be eliminated earlier for some of her flops. She was lucky– just as Char was lucky to be brought back on the show after her elimination. They both have some skill. They both have some talent. They both have exercised poor judgement occasionally. And…they both experienced both good and bad luck. Korina’s bad luck came this past week. I suspect Char’s will come soon enough. Authors not in the best-selling ranks probably all have their Korina moments. (And if they’re smart, they keep them to themselves.) You look at author so-and-so selling big, and you think: Really? She made it with her book, but I’m struggling to find an audience or publisher for mine? She got lucky. You didn’t — this time. There’s no point in dwelling on her good luck and your bad luck. Things can change. And, if you love what you’re doing, telling stories, you’ll keep doing it, no matter how unlucky or lucky you might be. So, word — don’t be Korina. It’s my new motto.